No. 1 in the world: Beaches. And these are not crowded in our area (Exception: End of the Year and Easter). This beach photo has been taken end of February, with the January crowd gone already home. Yes (FAQ), your can walk a few miles along our beaches. Varadero is fun. Varadero is meeting people. Our peninsula is flat, why not trying a bike? We keep a few for rent to the tourists. The traffic is not heavy here and streets well maintained. 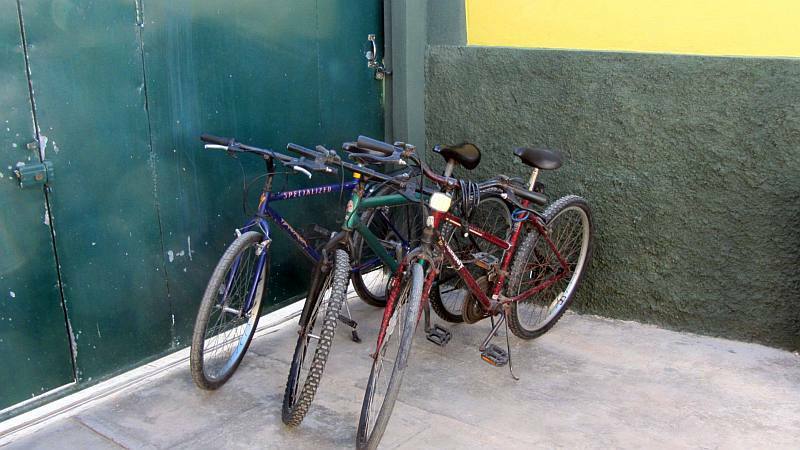 You should lock the bikes well though and keep your eye on them. This, too, is Caribbean. ...and our rooms for the night! 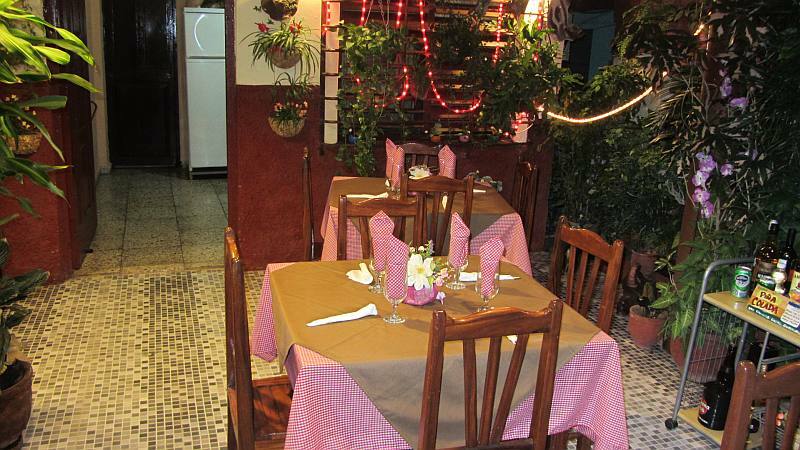 By the way: Your will find a Paladar (private restaurant) just three houses from ours. Here a table ready for a dinner. Our rooms are for people who want to sleep well. We are located on a quiet side street. No discos or industrial workshops around..
We offer two rooms for holiday makers. The first is somewhat bigger, it has an extra living room. You can see it on the video in the middle of the page. Both rooms have their own, independent entry - not through the rooms of the hosts (FAQ). We don't have Internet. Yoni, the owners' son, will be happy to show you where to buy the ETECSA card for Wi-Fi and where the hotspots or Net-Cafes are located in Varadero. Do like it quiet? 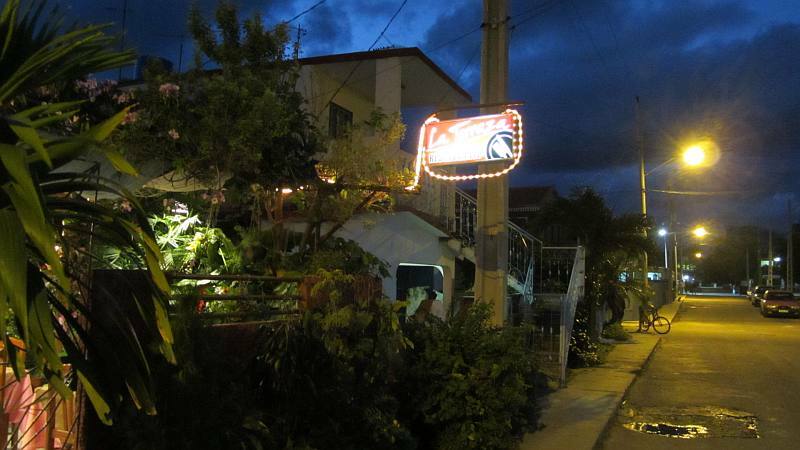 We are located on a side street south-east from the main Avenida 1ra. There is only a paladar (private restaurant) in our corner (photo). The terrace in the backyard can be used by the guests of both rooms. There is a grilling facility for you and your guests if you receive any. The owners live in the house and are on the alert watching around when you are swimming on the beach or dancing in the discos. And more: with a patio, where you can party with your guests and we will grill your food. Each room has own refrigerator, TV and air conditioning. We will quote the final price depending on the length of stay, season, number of guests and the current booking situation. Extra bed is available free for each room. This is frequently requested by travellers with children. As you could appreciate on our videos, both rooms have a small terrace. Small tourist groups are welcomed, as much as families with children. There is one double bed and, optionally, one single bed in each room. 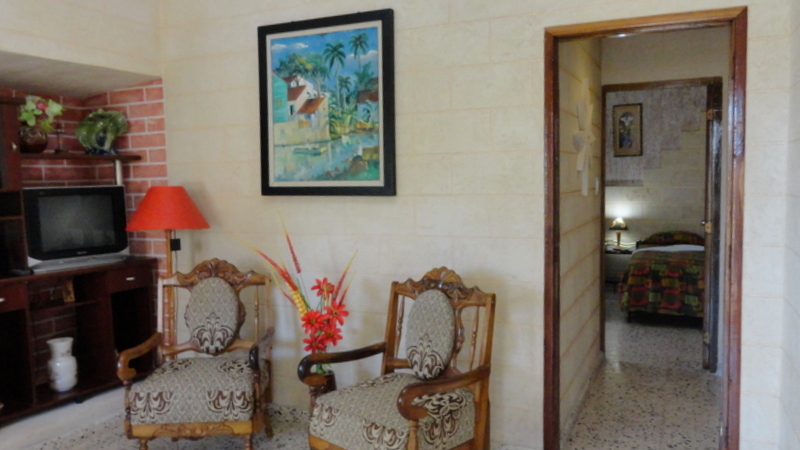 Up to four guests can enjoy their stay in our casa particular. Unfortunately, no. 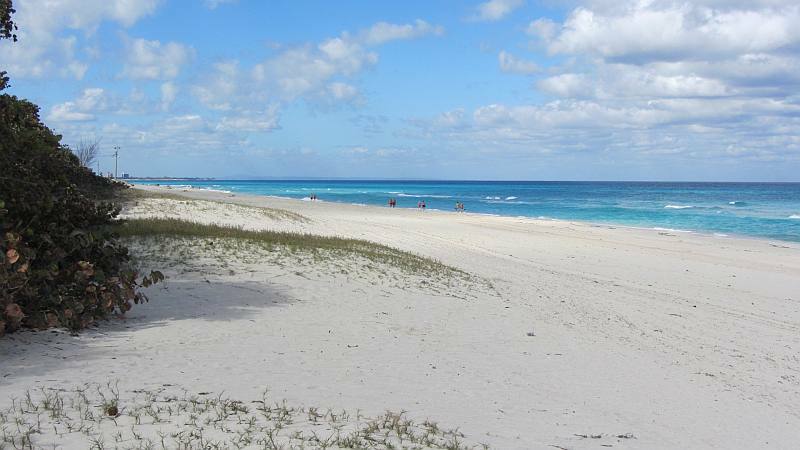 Varadero is in growing demand right now. And the chance to get a confirmed reservation for the end of the year is slim. And we weill cook for you if you wish. There are plenty of restaurants and a supermarket only a few walking minutes from our house. Taxi from Varadero Airport (VRA) will bring you here for about 25 CUC, and the fare from VIAZUL bus terminal just 3,00 CUC. Upon arrival you will probably meet some experienced travelers who try to organize a joint taxi rental to town. There is nothing wrong with that, especially if you have little baggage. Please click on the green link to make a reservation. 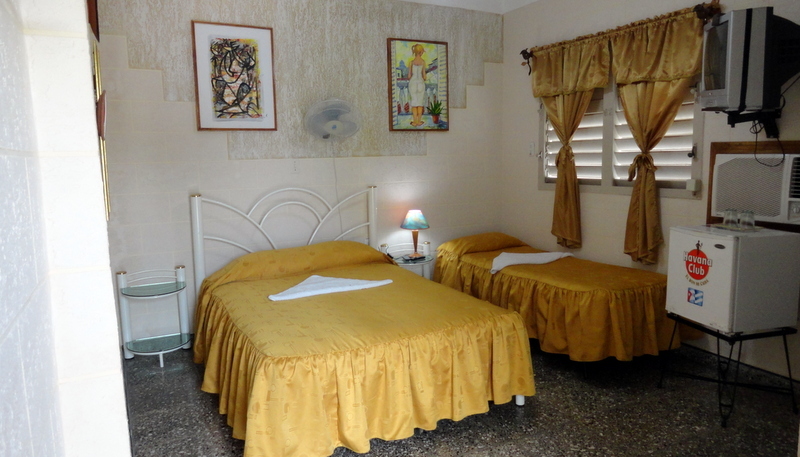 HolaCuba ™ is a well known travel portal for Casas Particulares in Cuba. HolaCuba served the traveller from 2001.
we work for private Casa owners in Cuba from 2001. 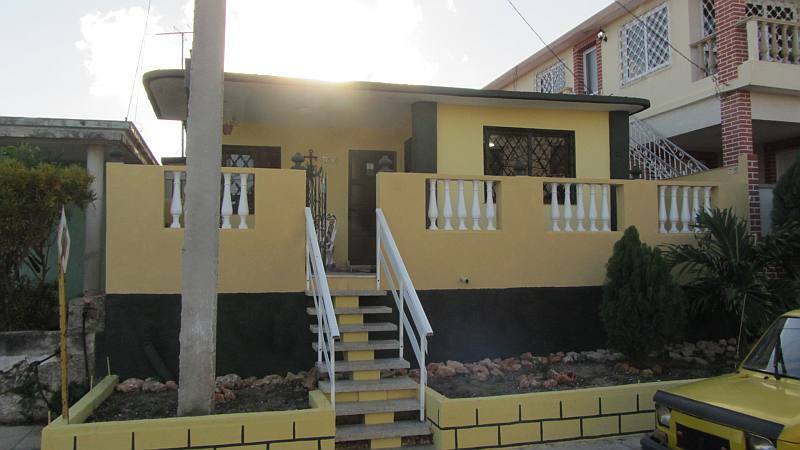 HolaCuba belongs to Caribation Network, a caribbean initiative of real estate stakeholders.